A historic home enthusiast recently purchased a home in downtown Madison, Indiana with a mission to restore the home and to stay as historically accurate as possible. 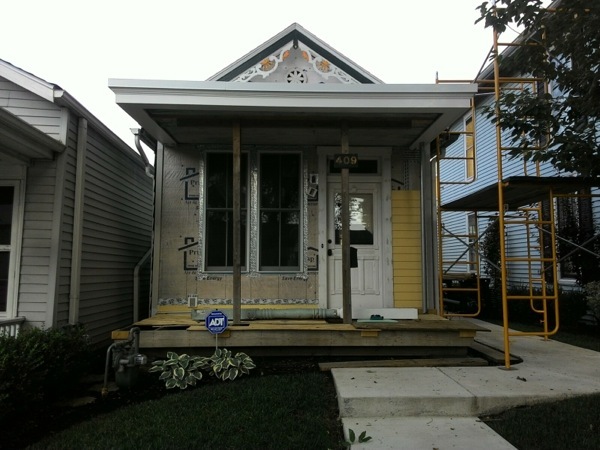 His undertaking includes both the inside and outside of the home but for the last several months his focus has been on restoring the front entry way which includes a box gutter and flat roof over the porch. 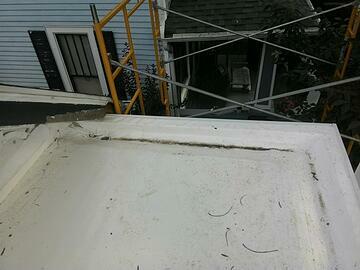 After all that work the last thing this homeowner wanted was leaks in his new box gutter and porch. He decided to have Exterior Pro Roofing line the new box gutter and to install the 2 piece metal edge trim to protect the new wood trim he had installed. 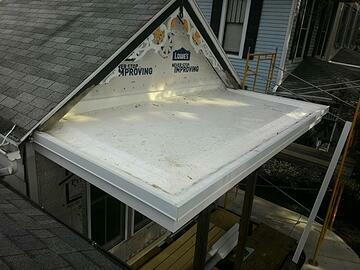 The box gutter liner project went well and the homeowner was very happy to have it done. Keep up the good work your home is really coming along! 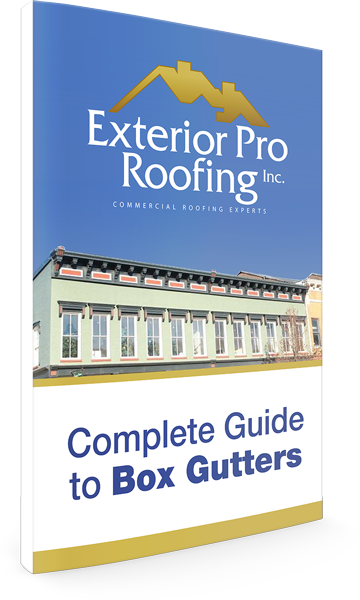 Download this free guide to learn about how to handle leaking box gutters.